A Soviet Jewish poet, he was born in Molodetshne, Vilna region. He received a traditional Jewish education and studied in a yeshiva. In the early 1920s, when he was still quite young, he published his first poem in the Minsk serial, Veker (Alarm). From that time forward, his lyrical poems continually appeared in Soviet Yiddish anthologies and periodicals. In the years 1921-1923, he published his writings in Veker (in Minsk), and in 1935 he was a member of the editorial board of that journal. He contributed (1925-1926) to Di royte velt (The red world), and in 1927 to Shtern (Star) in Minsk. In 1939 he, together with H. Kamenetski, compiled the anthology, Ordentregerishe vaysrusland (Byelorussia, carrier of honors) (Minsk), 245 pp. Among his books: Tsapl (Tremble) (Minsk, 1922), 29 pp. ; Lider (poems) (Minsk, 1932), 46 pp. ; Un vider lider (And more poems) (Minsk, 1935), 116 pp. ; Oyg af oyg (Tête-à-tête) (Minsk, 1937), poems written between 1924 and 1934, 238 pp. ; Lider (Poems) (Minsk: Melukhe farlag, 1938), 46 pp. ; Roytarmeyishe lider (Red Army poems) Minsk: Melukhe farlag, 1939); Lider zamlung (Poetry collection) (New York: IKUF, 1961), 77 pp. ; Lider (Moscow: Sovetski pisatel, 1980), 204 pp. His work can also be found in: Ruf (Call), Atake (Attack) for which he served on the editorial board, Almanakh fun yidishe sovetishe shrayber (Annual of Soviet Jewish writers), Di bafrayte brider (Liberated brothers), Deklamater fun der sovetisher yidisher literatur (Reciter of Soviet Yiddish literature), Far der bine (For the stage), Froyen (Women), Kep (Heads), Komyug (Jewish Communist youth), Lider vegn der royter armey (Poems about the Red Army), and Sovetishe vaysrusland (Soviet Byelorussia). Akselrod also translated into Yiddish works by the Byelorussian poet, Janka Kupala: Lider (Poems) (Moscow, 1936), 76 pp. 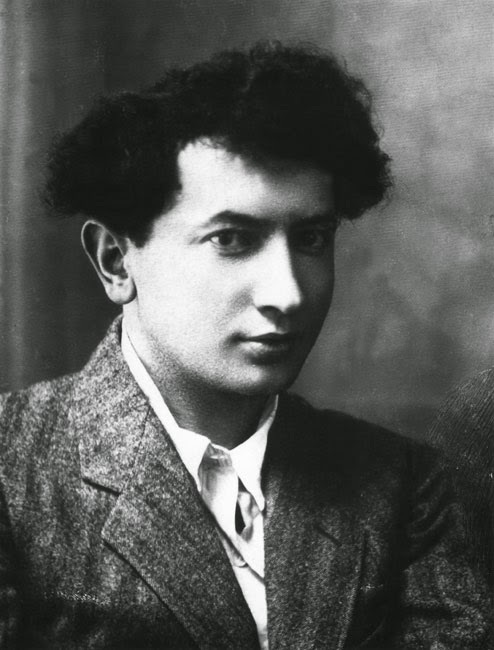 His poems were enthusiastically received by Soviet Yiddish critics, but they constantly were looking for sins that he committed. He was no Party man. Sources: Sh. Katsherginski, Tsvishn hamer un serp (Between hammer and sickle) (Paris, 1949); Moyshe Grosman, In farkhishuftn land fun legendarn Dzhugashvili, mayne zibn yor lebn in ratnfarband, 1939-1946 (In the enchanted land of the legendary Dzhugashvili [= Stalin], my seven years living in the Soviet Union, 1939-1946), vol. 2 (Paris, 1949); Y Bronshteyn, “Z. Akselrods dikhterishe veg” (Z. Akselrod’s poetic journey), Afn visnshaflekhn front (On the scientific front), no. 3-4 (Minsk) (1933); “Der stiln-kamf” (The style struggle), Prolit (Kharkov), no. 3-4 (1930); Sheferishe problemes fun der yidisher sovetisher poezye (Creative problems with Soviet Yiddish poetry) (Minsk, 1936), also in Atake (Moscow-Kharkov-Minsk) (1931), p. 331; B. Orshanski, “Di yidishe poezye in vaysrusland nokh der revolutsye” (Yiddish poetry in Byelorussia after the revolution), Tsaytshrift, vol. 5 (Minsk, 1931); Y. Dobrushin, “Zelik Akselrods veg” (Zelik Akselrod’s path), Shtern (Minsk), 10-11 (1932), and in Sovetishe literatur (Moscow, 1935); G. Yabrov, in Sovetishe literatur (Kiev) (June 1940); A. Damesek, in Shtern (Minsk) (September 1935); H. Vaynroykh, Blut af der zun (Blood on the sun) (New York, 1950); V. Vitkin, in Shtern (Minsk) 7-8 (1932); Shmuel Niger, “Di shtile meride in der sovetish-yidisher literatur” (The quiet rebellion in Soviet Yiddish literature), Literarishe bleter (October 14, 1927); B. Glazman, “An ovnt in moskver klub ‘komunist’,” (An evening the Moscow club, “Communist”), Yidisher kemfer (New York) (October 4, 1940).